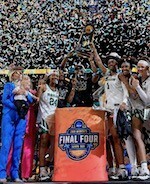 It has been weeks since the NCAA women's basketball season concluded, but Oregon just keeps on winning. In addition to the news that Sabrina Ionescu would return for her senior season, Kelly Graves and the Ducks have received commitments from two elite prospects in the 2020 recruiting class. Sydney Parrish, a 6-foot guard and the No. 11 prospect in the espnW HoopGurlz Super 60, announced her decision to head west last week. "I love their culture," said Parrish, who averaged 21.0 points, 6.9 rebounds, 2.5 assists and 1.9 steals per game as a junior and led Hamilton Southeastern to its first Indiana state championship. "The players, coaches and their style of play was what drew me to Oregon. The first night I spent hanging out with the team and felt how genuine they were with me. ... I met Coach Graves and his family as well. That sold me." Parrish also considered South Carolina, Tennessee, Maryland, UCLA, Indiana and Iowa. On Sunday, Angela Dugalic, a 6-4 forward at Maine West (Des Plaines, Illinois) and the No. 33 junior prospect, also committed to Oregon. Dugalic averaged 13.2 points, 8.7 rebounds, 2.3 assists and 2.7 steals as a junior and led Maine West to an undefeated season and an Illinois state title. Oregon becomes the third school with multiple top-40 commitments in the 2020 class. Notre Dame has verbals from No. 12 Natalija Marshall and No. 24 Allison Campbell, and Stanford has verbals from No. 2 Cameron Brink and No. 37 Jana Van Gytenbeek. UConn has a pair of commitments from No. 1 Paige Bueckers and European superstar Nika Muhl. Australian guard Jaz Shelley and Great Britain's Holly Winterburn make up Oregon's 2019 recruiting class. Rhode Island Director of Athletics Thorr Bjorn announced Tammi Reiss as the ninth women's basketball coach in program history Thursday morning. Reiss will be formally introduced as the head coach during a press conference later this afternoon at 2:00 p.m. A live stream of the event will be available on the University of Rhode Island Rams Facebook account. "From the first time I spoke with Tammi, I knew she was special. Her experience and success as a player at the highest levels of college and professional basketball are certainly terrific," Bjorn said. "What makes her even more special is the approach she takes in working with young women. I know she will be able to teach them the game of basketball, but she also will teach them leadership, accountability, teamwork and a commitment to excellence. I am just as excited as she is to have her get started as the new head coach for women's basketball at the University of Rhode Island." With a strong reputation as a communicator, Reiss has a history of recruiting and player development. She comes to URI after spending the last four years as an assistant coach at Syracuse. During her time with the Orange, she worked closely with the guards and helped Syracuse to three straight NCAA Tournament second round appearances. She mentored the only players in program history to earn WBCA Division I Coaches All-America Honors in Alexis Peterson, Brittney Sykes, and Tiana Mangakahia. Peterson and Mangakahia also earned Associated Press All-America Honors. Both Peterson and Sykes were selected in the 2017 WNBA Draft and Sykes went on to earn 2017 WNBA All-Rookie Team honors. In the last four years, Reiss helped Syracuse to four straight NCAA Tournament appearances, owning a 7-4 record at the big dance. The Orange had 99 wins during her four-year span, including 45 conference victories. Following its run to the national championship game in 2016, the team was ranked No. 3 nationally in the final USA Today Coaches poll, its highest rank in program history. Before Syracuse, Reiss spent time at Cal State Fullerton as the associate head coach. She served as the Titans' recruiting coordinator and was responsible for game and practice preparation, player development with emphasis on guard play, and conducted the offseason conditioning program. From 2011-13, Reiss was an assistant coach at San Diego State, where she helped guide the Aztecs to two conference regular-season titles, the 2012 Mountain West Tournament crown, and one NCAA Tournament appearance. She mentored Courtney Clements, the 2012 Mountain West Player of the Year, and Chelsea Hopkins, who was named the 2012 Mountain West Newcomer of the Year and Mountain West Player of the Year in 2013. Prior to working at San Diego State, Reiss served as an assistant coach for the WNBA's San Antonio Silver Stars and Utah Starzz. During her time in Utah, the Starzz advanced to the Western Conference final in 2002. Reiss was an assistant coach at her alma mater, Virginia, from 1993-96. She helped guide the Cavaliers to two ACC regular-season titles and three NCAA Tournament appearances, including two trips to the Elite Eight. A former WNBA player and All-American at Virginia, Reiss brings an abundance of experience to the Rhode Island program. She was a four-year starter for the Cavaliers, earning All-American honors in 1992. She led the team to three ACC regular-season titles, two league tournament championships, and three Final Four appearances. Reiss earned All-Conference honors three times in her career and was named to the All-ACC Tournament Team twice. She ended her collegiate career ranked first in school history in 3-point field goals made (139) and 3-point field goal percentage (.416) and was second in points (1,842) and free throws made (437). Reiss was the fifth overall pick in the 1997 WNBA Draft by the Starzz. She played two seasons for Utah, serving as team captain. To add to her impressive athletic career, Reiss is also credited with multiple roles as an actress in movies Juwanna Mann and Double Teamed, as well as the TV series Sister, Sister. Nell Fortner has been named the sixth head coach in Georgia Tech women's basketball history, director of athletics Todd Stansbury announced on Tuesday. One of the most successful coaches in women's basketball history, Fortner has compiled a 305-187 (.620) record as a head coach at the collegiate, professional and international levels. She has led teams to Big Ten (Purdue - 1997) and Southeastern Conference (Auburn - 2009) championships and, perhaps most notably, coached the United States national team to three international titles from 1997-2000, including the gold medal at the 2000 Summer Olympics in Sydney, Australia. 'I'm excited to welcome Coach Fortner to the Georgia Tech family,' Stansbury said. 'Her resume speaks for itself - she is one of the most successful and respected coaches in women's basketball history. She's not only led teams to Olympic gold and major conference championships, but she has also proven to be an outstanding leader of young women who has embodied our mission of developing the young people who will change the world.' Fortner is the winningest coach in the history of the USA women's basketball national team, having compiled a 101-14 (.878) record. In addition to the 2000 Olympics championship, she also led the team to the gold medal at the 1998 World Championship in Berlin, Germany and the 1998 William Jones Cup in Taipei, Taiwan. At the collegiate level, Fortner has nine seasons of experience as a head coach - one at Purdue (1996-97) and eight at Auburn (2004-12) - and has compiled a 162-117 (.581) overall record in the college ranks. In her first season as a collegiate head coach, she led Purdue to a share of the Big Ten regular-season championship with a 12-4 conference record and an NCAA Tournament berth. Following the impressive rookie campaign, she was named the 1997 Basketball Times National Coach of the Year. She left Purdue after one season to take over as the full-time head coach of the U.S. national team but returned to the collegiate ranks in 2004 at Auburn. With Fortner at the helm, Auburn won at least 20 games three times, highlighted by a 30-4 campaign in 2008-09 that saw the Tigers win the SEC regular-season title for the first time in 20 years and saw Fortner named the SEC and WBCA Region III Coach of the Year. In addition to her stints as head coach with Purdue, the U.S. national team and Auburn, Fortner served as the first head coach and general manager in the history of the WNBA's Indiana Fever from 2000-03. She didn't coach the Fever in 2000 due to the Summer Olympics, but took over coaching duties in '01 and led the franchise to its first playoffs appearance in '02. She began her coaching career as the head coach at Killeen (Texas) H.S. from 1983-86, before entering the collegiate coaching ranks as a graduate assistant at Stephen F. Austin in 1986-87. After one season, she was promoted to assistant coach at SFA, where she remained for three more seasons (1987-90) and helped guide the Ladyjacks to an 87-12 (.879) record and three-straight NCAA Tournament appearances. She then moved on to national power Louisiana Tech (1990-95), where she was an assistant coach for five seasons. 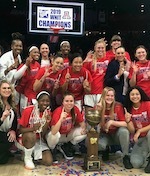 In her five seasons at Louisiana Tech, the Lady Techsters went 123-37 (.794) and earned five-straight NCAA Tournament berths, advancing all the way to the national championship game in 1994. She left Louisiana Tech for a one-year stint as an assistant coach for the U.S. national team (1995-96) under head coach Tara VanDerveer. The national team put together a perfect 52-0 record in 1995-96, culminating with a gold medal at the 1996 Summer Olympics in Atlanta. Her career also includes two stints as a women's basketball analyst at ESPN - first as a studio analyst from 2001-04, then as a color analyst for the past seven seasons since she stepped down as Auburn's head coach following the 2012 season. Through her role with ESPN, she has remained actively engaged within NCAA women's basketball, calling some of the nation's best regular-season and postseason games, as well as being an integral part of the network's Final Four coverage. 'I am so excited and proud to be named the next women's basketball coach at Georgia Tech,' Fortner said. 'I've coached for 28 years, at every level, and Georgia Tech was the perfect fit for me to get back in the college game. Georgia Tech is one of those unique institutions that has both a premier academic reputation and a successful athletics program. My staff and I will be committed to helping each student-athlete have a positive and productive experience. 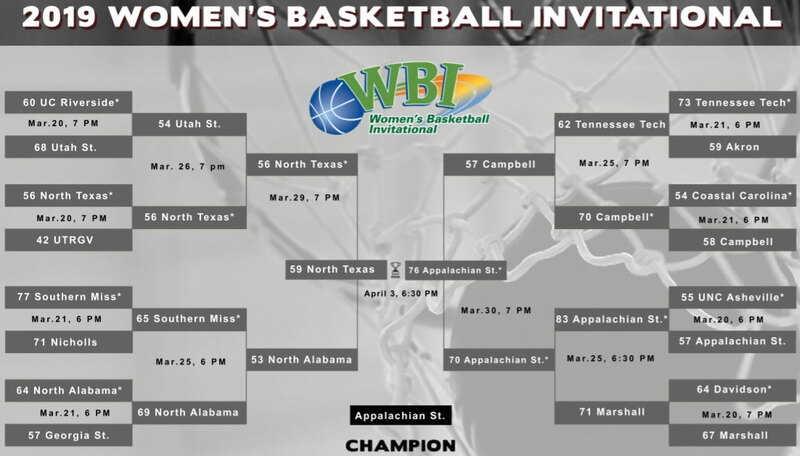 We will compete at the highest level possible and strive to be champions, both on and off the court. Together We Swarm!' Born in Jackson, Miss., Fortner attended high school at New Braunfels (Texas) H.S., where she was an all-state selection and a Parade all-American. She received a dual-sport scholarship to the University of Texas, where she played both basketball and volleyball from 1978-82. She helped lead UT to 127 basketball wins in four seasons and remains one of the Longhorns' all-time leading scorers with 1,466 career points. In volleyball, she was a member of Texas' national championship team as a senior in '81. While at Texas, Fortner also made her USA Basketball debut as a member of the 1978 U.S. Olympic Festival South team that won a silver medal. Fortner holds a bachelor's degree in physical education from Texas (1982) and a master's in education from Stephen F. Austin (1987). Among her many honors, Fortner was named USA Basketball Coach of the Year in 2000, inducted to the Texas Sports Hall of Fame and the University of Texas Women's Athletics Wall of Honor in 2001, recognized as a distinguished alumna of Stephen F. Austin in 2007 and inducted into the San Antonio Sports Hall of Fame in 2013. We bring you last week's top former Huskies players who are currently playing in pro basketball. #1. Samantha Whitcomb (5'10''-G/F-88, graduated '10, plays pro in France) led Lattes Montpellier Agglomeration Basket to a victory over the seventh-ranked Nantes Reze (7-7) crushing them 102-75 in the French LFB in Sunday night's game. She was MVP of the game. Whitcomb scored 26 points (!!! ), had 5 boards, dished 4 assists and stole 3 balls in 29 minutes. Lattes Montpellier Agglomeration Basket (10-2) is placed first in the LFB. It was her team's third consecutive victory in a row. It's Whitcomb's first season with the team. She has individually a very good year with high stats. Whitcomb averages 15.5ppg, 4.9rpg, 3.4apg and 2.3spg in 12 games she played so far. She is a naturalized Australian. #2. Kelsey Plum (5'8''-G-94, graduated '17, plays in Turkey) was the main contributor in Fenerbahce's victory against the seventh-ranked Ormanspor (8-6) 90-73 in the Turkish KBSL last Sunday. She was MVP of the game. Plum scored 22 points and added 3 passes; quite an impressive performance considering it's only her second season in pro basketball. Fenerbahce Spor Kulubu Istanbul (12-2) is placed first in the KBSL. It's Plum's first year with the team. This season Plum has very high stats. She averages 16.7ppg, 3.2rpg and 3.3apg. #3. Nicole Romeo (5'6''-G-89, graduated '09, currently in Italy), who plays in the Italian Serie A1 could not help Ragusa to beat Venezia (12-1). She recorded 5 points in 15 minutes. It was her first game for Ragusa this season. The league leader Ragusa lost 60-72 on the road to the leading Venezia. Romeo has also Italian nationality. #4. Beatrice Carta (5'7''-PG-92, graduated '13, plays pro in Spain) was not able to help Barca CBS in their game against Ardoi (11-1) in the Spanish LF2 (second division). She recorded only 4 points. The fourth-placed Barca CBS (9-4) was edged 63-62 by the second-ranked Ardoi in the Group A. This season Carta averages 5.8ppg, 3.0rpg, 2.7apg and 1.9spg. Notice: The list above includes only some of the The University of Washington alumni playing currently in pro basketball. Check COMPLETE LIST. Traditionally, every week we bring you a list of the top former Hokies players who continue their career in pro basketball. #1. Vanessa Panousis (5'7''-G-95, graduated '17, plays pro in Australia) could not help Sydney Uni Flames (2-18) in their last game. Despite her good performance the bottom-ranked Sydney Uni Flames were badly defeated 99-79 on the road by the leading Canberra Capitals. Panousis scored 14 points in 23 minutes; quite an impressive performance considering it's only her second season in pro basketball. It was Sydney Uni Flames' fourth consecutive loss in a row. Panousis' team will play only one more game in the Regular Season. And that game will be critical. It's Panousis' first year with the team. This season she averages 4.9ppg, 1.5rpg and 1.6apg in 20 games she played so far. Panousis has also Australian passport. #2. Sidney Cook (6'2''-F-94, graduated '17, plays in Finland) led Tapiolan Honka to a victory over the closely-ranked Espoo Team (10-6) 106-89 in the Finnish Korisliiga last Saturday. She was MVP of the game. Cook recorded a double-double by scoring 29 points and getting 13 rebounds. She also added 4 assists; not bad, considering it's only Cook's second season in pro basketball. It was the game of the round between two top 4 ranked teams. Tapiolan Honka (6-4) is placed third in the Korisliiga. It was her team's fifth consecutive victory in a row. Cook has individually a very good season with high stats. She averages 23.1ppg, 12.2rpg and 2.3apg. #3. Uju Ugoka (6'1''-F-93, graduated '14, currently in France) was the major contributor in Roche's victory against the ninth-ranked Hainaut (5-7) 63-53 in the French LFB on Saturday night. She scored 11 points and grabbed 4 rebounds in 36 minutes. Roche Vendee BC (6-6) is placed fifth in the LFB. It's Ugoka's first season with the team. Ugoka has relatively good stats this year 13.6ppg and 7.1rpg in 12 games. #4. Samantha Hill (5'10''-G-94, graduated '17, plays pro in Germany) was not able to help one of league's weakest teams XCYDE Angels Noerdlingen in their game against Hannover (6-6) in the German DBBL. Despite her very good performance in Sunday night's game She was the top scorer with 19 points. Hill also added 4 rebounds (went 6 for 6 at the free throw line). There are only four games left until the end of the Regular Season. So now every game is very crucial. Hill has relatively good stats this season 11.6ppg, 4.8rpg, 1.5apg and 1.2spg. Traditionally, every week we bring you a list of the top former Badgers players who continue their career in pro basketball. #1. Experienced Jolene Anderson (5'9''-SG-86, graduated '08, plays pro in Italy) contributed to Venezia's victory against the league outsider Ragusa 72-60 in the Italian Serie A1 in Sunday night's game. She recorded 7 points, 9 rebounds and 4 assists in 35 minutes. Reyer Venezia Mestre (12-1) is placed first in the Serie A1. Anderson has relatively good stats this year 12.1ppg, 6.2rpg, 3.5apg and 1.2spg in 13 games she played so far. #2. Taylor Wurtz (6'0''-G-90, graduated '14, plays in France) contributed to an easy victory against the seventh-ranked Nantes Reze (7-7) crushing them 102-75 in the French LFB last Sunday. Wurtz scored 6 points. Lattes Montpellier Agglomeration Basket (10-2) is placed first in the LFB. It was her team's third consecutive victory in a row. It's Wurtz's first season with the team. This year she averages 9.8ppg, 3.8rpg, 1.9apg and 1.1spg. #3. Cassie Rochel (6'5''-C-91, graduated '15, currently in Greece), who plays in the Greek A1 could not help AO Eleutheria Moshatou (3-6) in their last game. Despite her good performance AO Eleutheria Moshatou lost 62-70 on the road to the higher-ranked (#4) Kalyvion. Rochel had a double-double by scoring 14 points and getting 10 rebounds. She also added 2 blocks in 39 minutes. Rochel has individually a very good year with high stats. She averages 16.1ppg, 13.5rpg, 1.1apg, 2.4bpg and 2.5spg in eight games. #4. Raelin D'Alie (5'6''-PG-87, graduated '10, plays pro in Italy) was the major contributor in Bologna's victory against the tenth-ranked Cagliari CUS (6-8) 66-54 in the Italian Serie A2 (second division) in Saturday night's game. She scored 13 points. Matteiplast Bologna (11-4) is placed fifth in South group. It was her team's seventh consecutive victory in a row. This season D'Alie has very high stats. She averages 17.9ppg, 5.8rpg, 2.4apg and 1.8spg. D'Alie is a naturalized Italian. Notice: The list above includes only some of the University of Wisconsin alumni playing currently in pro basketball. Check COMPLETE LIST.